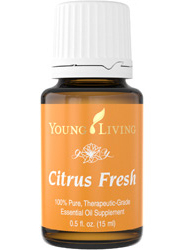 Citrus Fresh is just as it sounds: A very fresh, citrus scent. It combines Orange, Tangerine, Grapefruit, Lemon, Mandarin, and Spearmint to create this uplifting oil blend. Spearmint is the odd one out, but it keeps these citrus oils uplifted and more refreshing smelling. This combination stimulates the right brain and amplifies creativity. It can help put anxiety on the shelf. It purifies the air. Diffuse this oil, or put a drop in your water. Taking a drop in your water can increase the uplifting affects and can cleanse your systems. There is a possible sun and skin sensitivity, since it’s so citrus-filled.